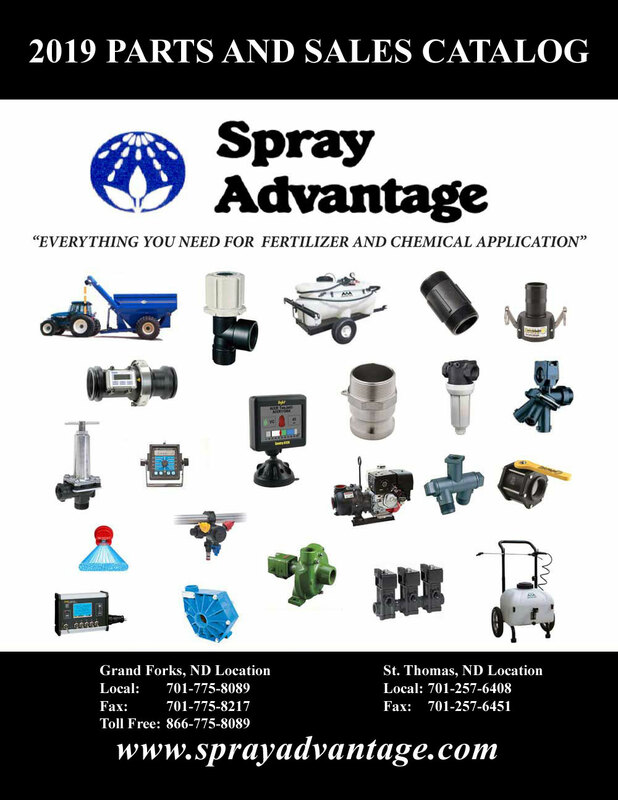 Spray Advantage is in the business of wholesale and retail sales and service of fertilizer and chemical application parts and equipment. Spray Advantage is a full service supplier of fertilizer and chemical equipment with a complete inventory and total availability of high demand replacement parts targeted to the handlers of liquid products. We offer expert sales, service, and support of electronic controllers, poly tanks, sprayer parts, pumps, hose, air seeder parts, NH3 meters, manifolds, and bulk handling equipment. Our philosophy is to optimize agricultural production and efficiency by providing excellent and knowledgeable service and support, and all the necessary supplies to compete in a market which is becoming highly technical. Spray Advantage offers a complete inventory and total availability of high demand parts supplied by these quality vendors.